The Report Designer can easily customize existing formats or create new format for your printouts. Printer formats tell Coin Elite what you want to print. Coin Elite comes with standard formats for all types of reports. The Report Designer allows you to customize your reports as you wish. 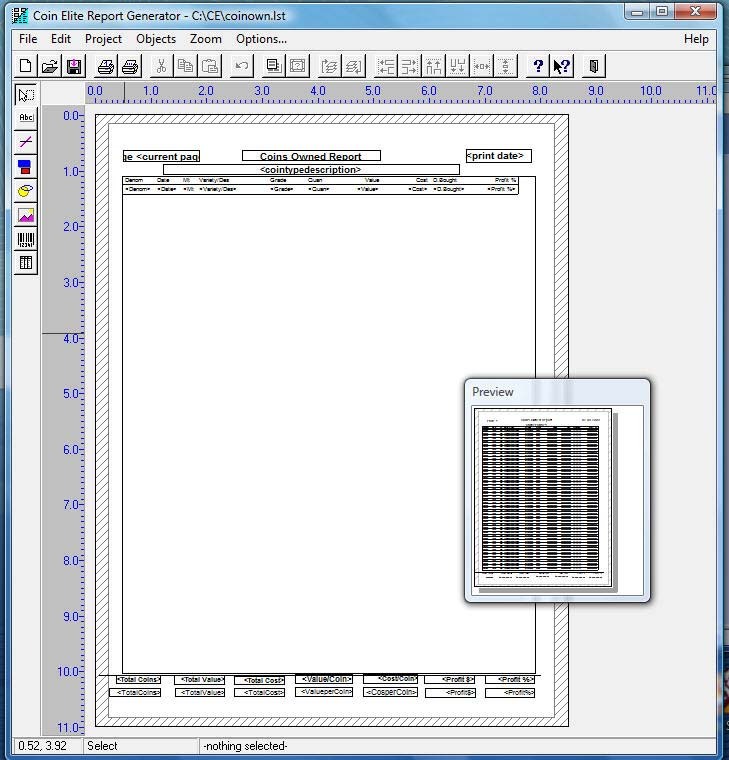 Printer Formats are customized by double clicking into the center of the white box. A window then appears which lets you add or delete any fields you wish. You may create as many formats as you wish and then simply select which one you want to use when you start printing. Allows for either protrait or landscape printing.